February 1, 2019 | -by: Mary Fernandez. 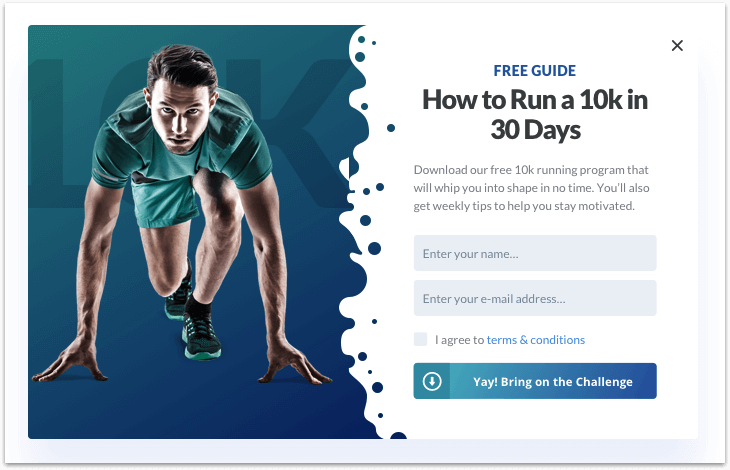 Want to grow your email list to 1K, 5K, 10K and beyond? You’re going to need a really good lead magnet. Mary Fernandez, founder of Persuasion Nation, lists out 17 proven lead magnet ideas to grow your email list (with examples). Before we dive into the lead magnet ideas, let’s talk strategy. It’s important to understand why you are creating a lead magnet in the first place, and what makes some lead magnets convert 1,000% better than others. First of all, what is a lead magnet, anyway? 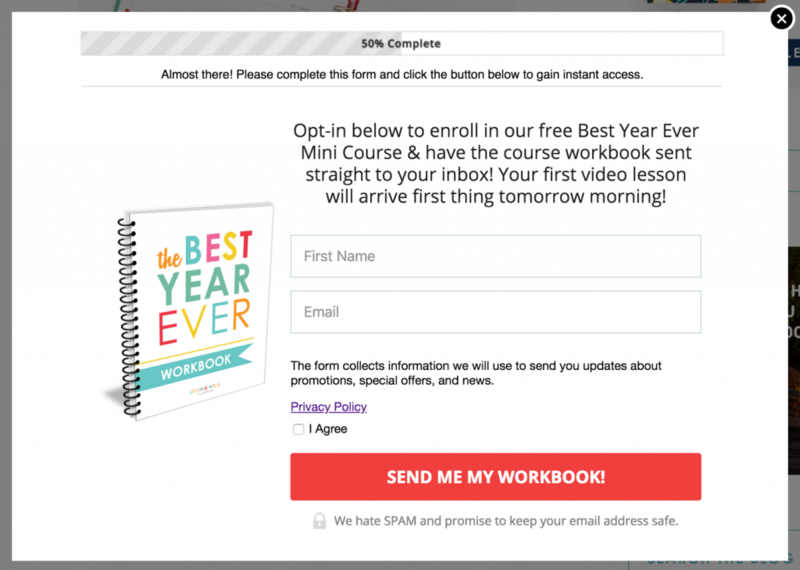 Why are lead magnet s so important for growing your email list? A lead magnet (a.k.a. “opt in bribe”) is a valuable resource that a website gives away for free in exchange for the website visitor’s email address. 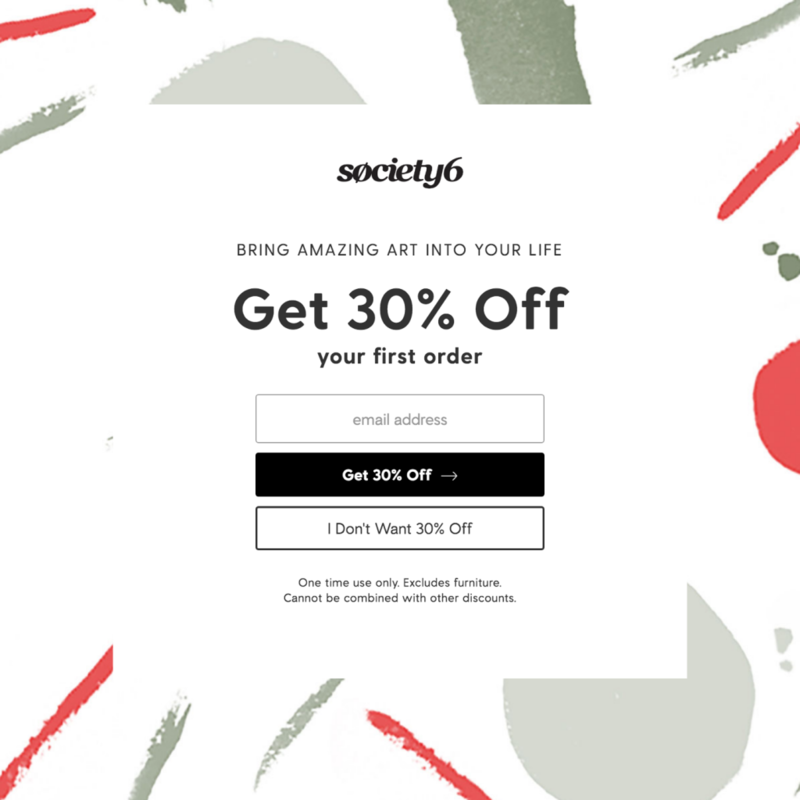 In other words, as opposed to asking visitors to “subscribe to our email list!” (which isn’t very appealing), a lead magnet says, “here is an awesome free thing– opt in to get it!”. Aside from growing your email list at an exponentially higher rate, lead magnets have another huge benefit. The right lead magnet will attract very specific people who would be ideal customers and entice them to become leads. This maximizes your email marketing efforts by ensuring that each and every lead is a high-quality prospect for your business. It must attract your ideal customer – if your lead magnet solves a specific problem that your ideal customer has, you’ll be sure to attract the right people. 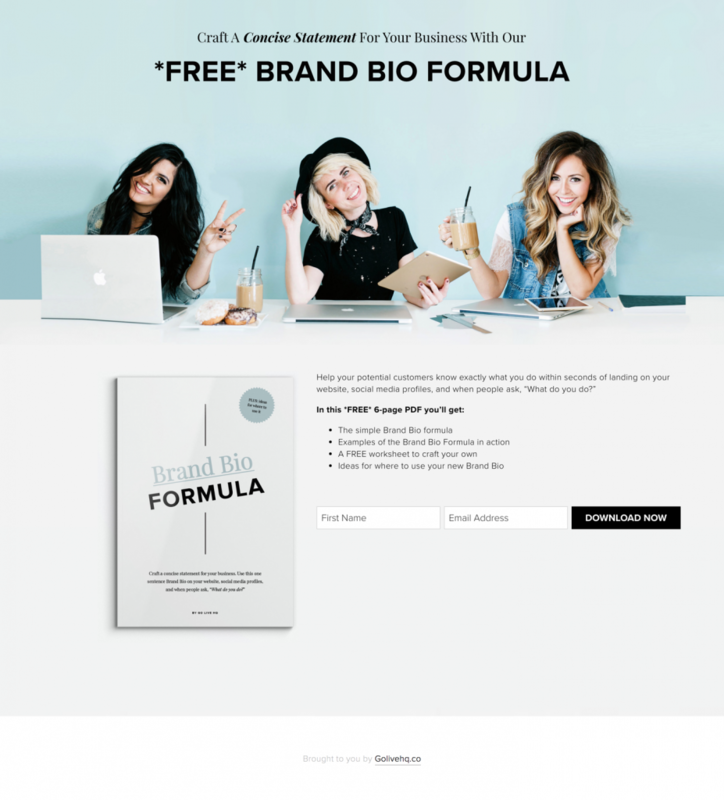 It must NOT attract anyone else – conversely, you don’t want to attract the wrong people, so avoid generic lead magnets that attract anyone and everyone (e.g. “Enter your email for our iPad giveaway!”). It must be valuable – offering something of little perceived value such as a “newsletter” isn’t going to cut it here. Make sure your lead magnet has significant value! It must be immediately consumable – people want instant gratification, so you need to make sure that your lead magnet can be downloaded or accessed immediately. 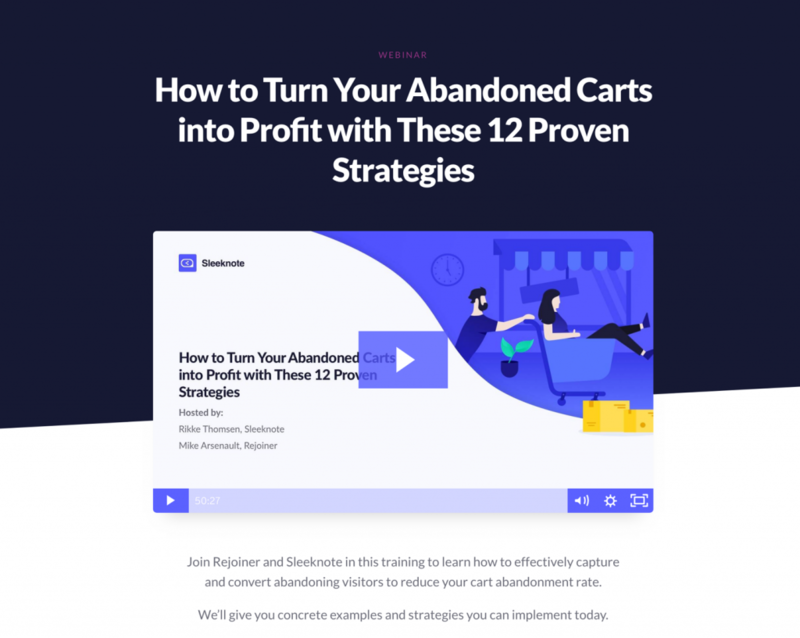 It must NOT require much effort to consume – if your lead magnet sounds like something that will take a long time to digest, such as an eBook, people won’t want to opt in for it. It must promise quick results – even though you’re offering it for free, you still have to “sell” your lead magnet. Why should someone download it? What result will it produce for the consumer, and how quickly will they be able to achieve that result? It must produce quick results – although this point does not affect your opt in rates per se, it can have a profound effect on eventual sales. Getting people to subscribe to your email list is only the first step; now you have to convince your subscribers that you have the solution they are looking for. 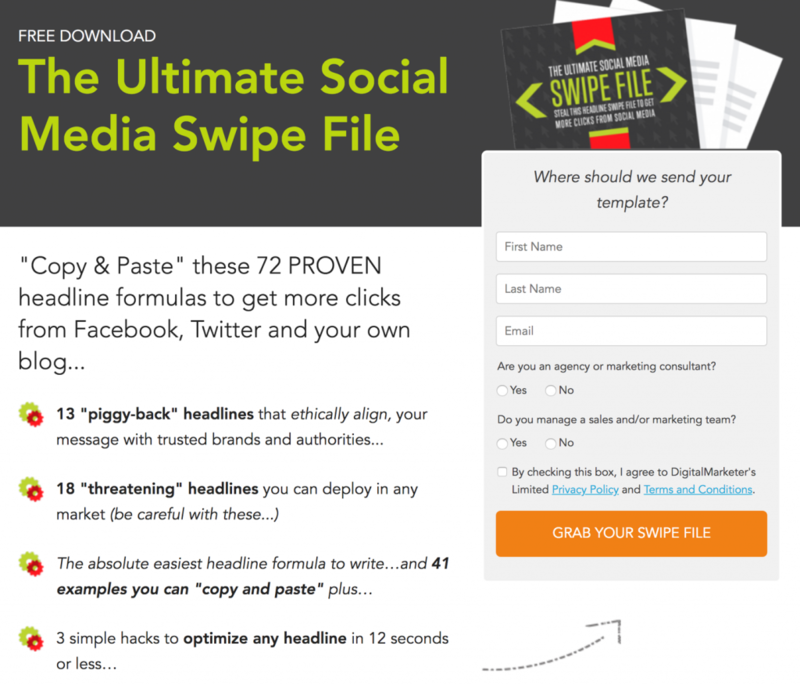 Arguably the most effective lead magnet of all is the PDF cheat sheet or checklist. Professional marketers in every niche rely on this simple yet powerful lead magnet to grow their email lists into the tens of thousands and beyond. Why does the cheat sheet or checklist convert so well? Going back to the criteria listed above, the cheat sheet or checklist hits on every single point. It’s specific, it’s downloadable, it’s easy to consume, and it’s ridiculously easy to follow and get results. All one has to do is check of the items on the list! What makes the webinar lead magnet so effective is the fact that it has a very high perceived value. This is a live event, and therefore you are offering so much more than a simple download… you are offering an experience. Sleeknote offers webinars on a regular basis, so they smartly give visitors the opportunity to subscribe to be the first to know about upcoming webinars. Although eBooks aren’t always effective lead magnets because they are lengthy to consume, a mini eBook can work really well. Instead of calling it an “eBook”, however, you may want to call it something more enticing such as a “guide” or a “tutorial”. Audio books are great because they can be consumed on a commute, at the gym, or virtually anywhere! This makes it super convenient for your subscribers to learn from you. Plus, they get to hear a human voice, which really helps with the “know, like and trust” factor that every marketer seeks to achieve. Free reports have been around for a long time, and for good reason. By providing industry research and data, along with your interpretation of that data, you are offering something extremely valuable and actionable. Mini courses are awesome because they not only educate your subscribers, but they do so in an episodic way, piece by piece. In other words, the entire lead magnet does not need to be consumed in one day– instead, it can be delivered in a series of lessons over a period of time. Spreading the consumption of your lead magnet over a series of days gives you much more time to develop a relationship with your new subscriber, in the hopes of turning them into a paying customer. Challenges are fun, and highly effective lead magnets. A challenge is where you offer to help someone to achieve a very specific goal over a very specific period of time. Similar to the mini course, you may choose to deliver a series of lessons over a series of days or weeks. But in a challenge, the focus is all on taking action. So you are clearly laying out the action steps that someone needs to take in order to achieve their goal, drastically increasing the likelihood that they will get a quick win from your lead magnet (and become a raving fan and customer). If you have an online shop, coupons can be really great lead magnets for you. The reason this works is because your visitors have already expressed an interest in your products– they wouldn’t have landed on your website if they weren’t seeking what you have to offer. So, offering a coupon is often just the incentive they need to give you their email address (and make a purchase shortly thereafter). Personality quizzes and the like are all the rage… and they don’t appear to be going away anytime soon! The reason they work so well is that quizzes play right in to the human ego– we all want to know more about ourselves. Videos are phenomenal lead magnets because they have a high perceived value, and they create a much deeper connection between your brand and your potential customers. Think about YouTube stars, for instance. How did they get to become celebrities and household names? It wasn’t because they landed a spot on primetime television, or a big role in a feature film… they grew their audiences solely through their own videos. 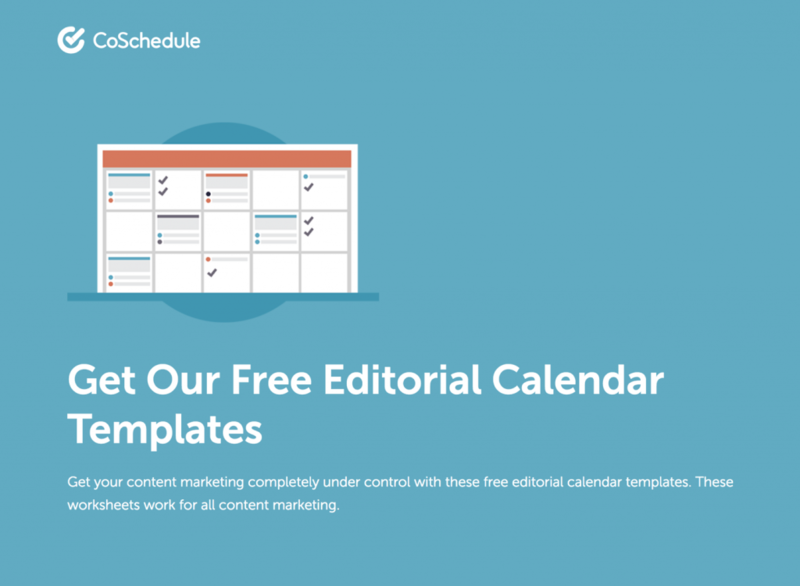 A template is an ingenious lead magnet, and so simple to create. All you have to do is provide the framework for someone to fill in the blanks with their own work. And it is incredibly valuable! Everyone wants to shortcut the process, and templates are the perfect way to do that. 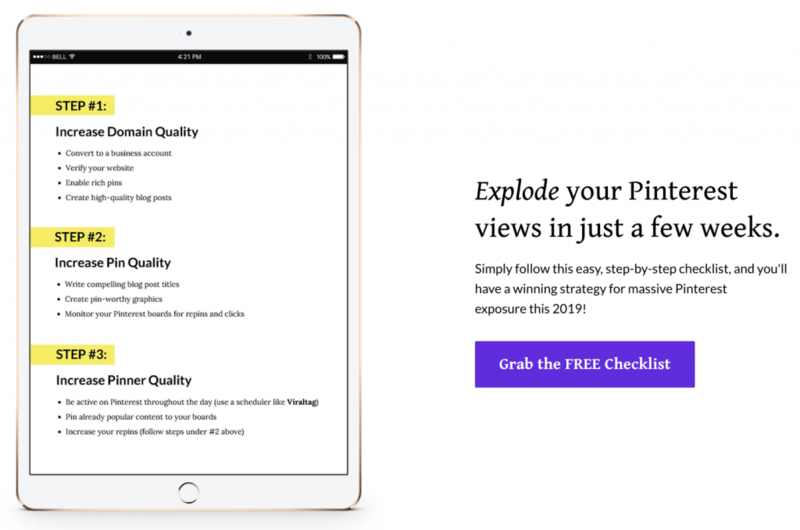 You know why Pinterest has become so successful as a social media platform? It’s because it allows people to curate stuff for their audience. A swipe file does the same thing: it gives your audience access to list of things that you have curated that are inspiring or useful. Printable worksheets are of great value to many because people love to hold something in their hands. Plus, it’s useful and results-oriented because you actually write on it. 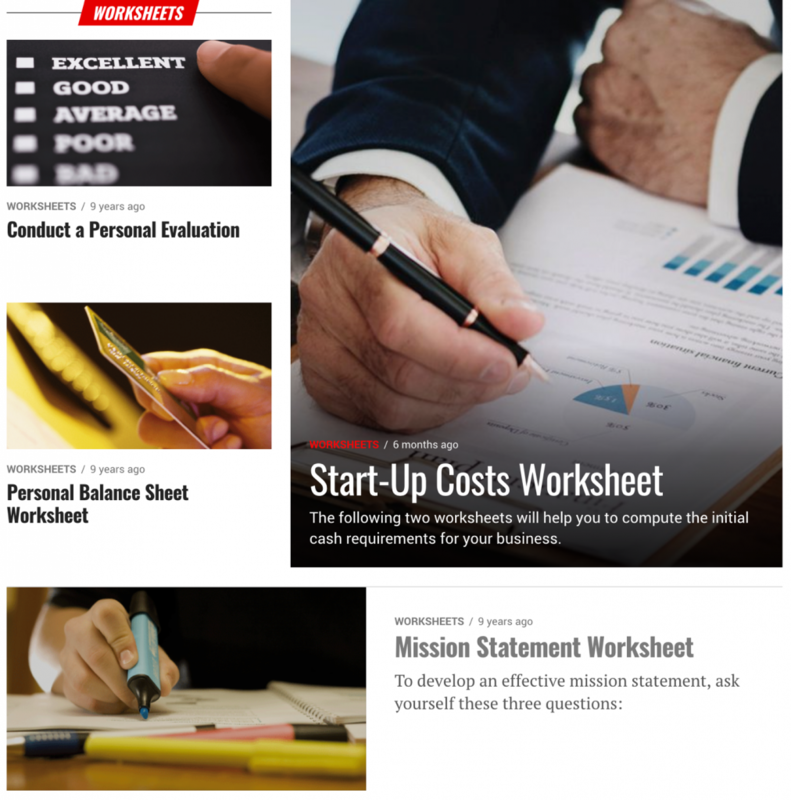 For example, Entrepreneur Magazine has worksheets that help you calculate the start-up costs for your business, craft your mission statement, balance your books, and more. Giveaways are highly effective lead magnets because they have huge potential to go viral on social media. Be very careful, however, that the prize you are giving away is only attractive to your ideal customers! Otherwise, you’ll run the risk of attracting the wrong people. So, give this some good thought before you decide. If your product is some sort of software, offering a free trial is an excellent choice of lead magnet. Make sure, however, that you are only asking for the absolute minimum information needed in order to set up their free account. If you can get away with email and their first name, do it! This will get you way more opt ins than if you asked for name, phone number, address, password, etc. Calendars or planners can seriously help your prospects to become more productive, and that’s a sure “quick win” for them. Plus, these types of downloadable materials can be branded to match your website– helping to keep your brand fresh on their minds. Although this is a more expensive lead magnet to create than some, due to its time-intensive nature, free coaching calls have the potential to produce huge ROI. Particularly if you sell a high-ticket item, getting leads on the phone may prove to be instrumental in converting people from visitor, to lead, to customer. That’s it! 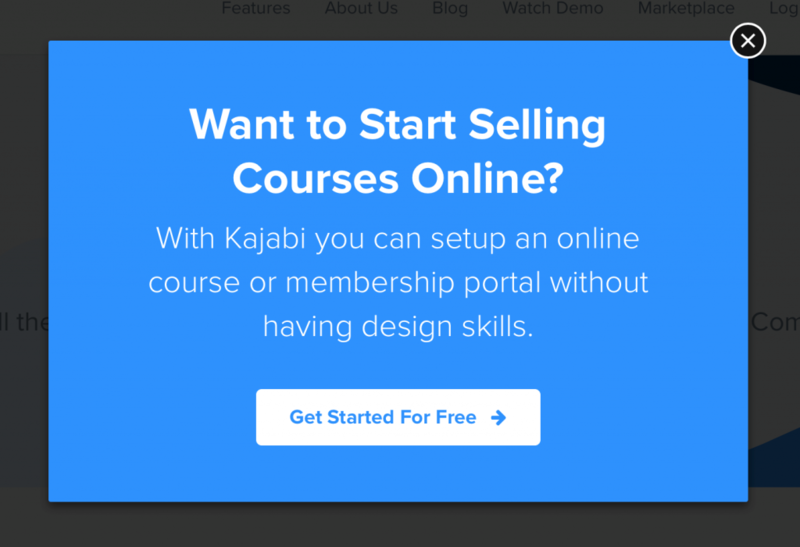 We just gave you 17 powerful lead magnet ideas to grow your email list. 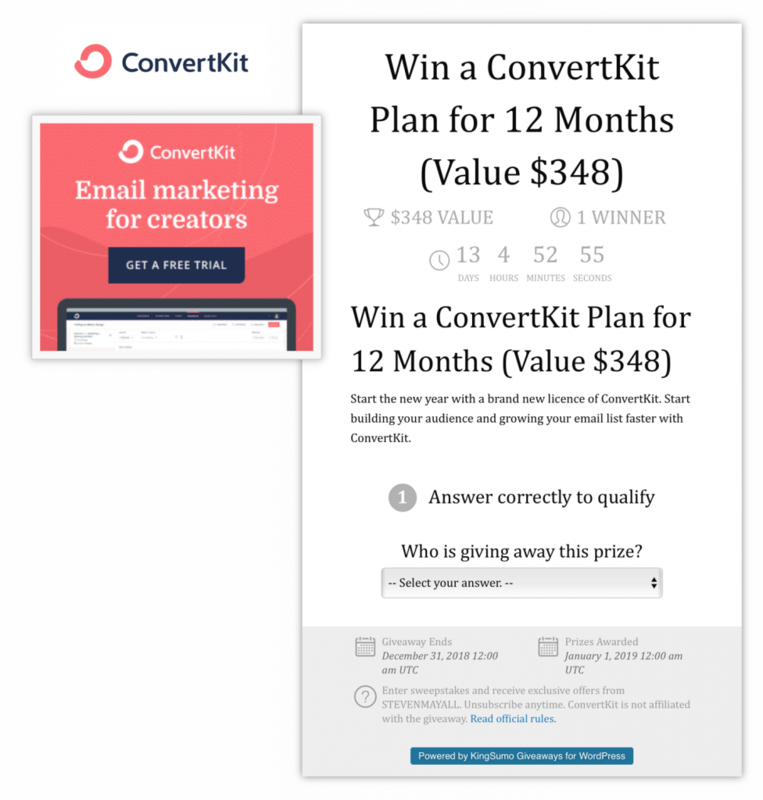 As you can see from these examples, the key to growing your email list into the tens of thousands of subscribers is to give away something incredibly valuable, actionable, and to-the-point for free. Now it’s your turn. Go ahead and pick one of the lead magnet ideas above, create it, and offer it on your website with an opt in capture form. Remember: your lead magnet does NOT have to be complicated or time-consuming to create. In fact, the most effective lead magnets are often the simplest ones. Mary is the founder of Persuasion Nation and a busy homeschooling mom of four, living in sunny San Diego, California. Grab her free guide which reveals 6 Powerful Persuasion Tricks Entrepreneurs are Using to Sell Multiple 7-Figure Online Courses.